Sumahan on the Water is located on the edge of the Bosphorus, providing a picturesque view that is second to none. 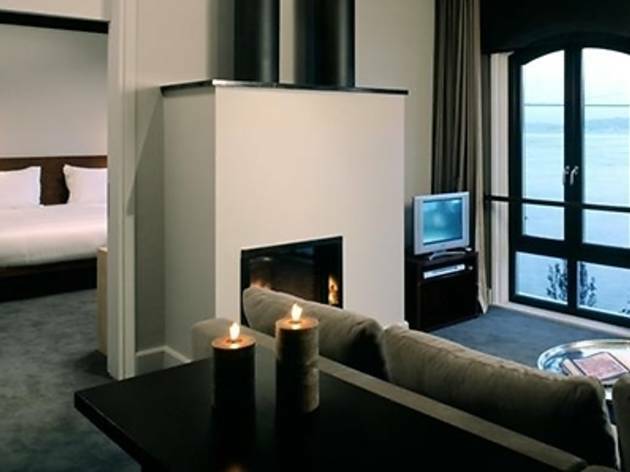 It’s beautiful location on the waterfront and the history of the structure, which dates back to the mid-19th century, makes it a very rare and exclusive hotel. The structure, interestingly enough, used to be an old Ottoman alcohol factory, but is now a family-owned hotel that has very high standards. Sumahan Hotel offers guests unforgettable views in a comfortable, convenient, and private setting. 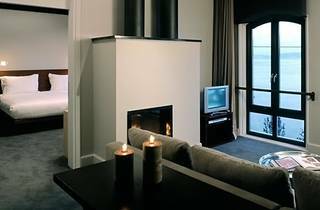 The hotel has a variety of rooms or suites, each with its own unique style, including Small Deluxe, Deluxe, Junior Suite, Loft Suite, Family Loft Suite, and Executive Suites. Each room has a wonderful view and all are equipped with standard and modern amenities and some even have their own Bosphorus-side garden. The hotel’s meeting room overlooks the Bosphorus, providing you with a unique and inspiring place to work. Sumahan Hotel is dedicated to high quality service and has a wide range of guest services where your every need has been thought of and met. Enjoy a relaxing massage, freshen up in the hamam, or release the stress of the day through a good workout at the hotel’s wellness area, which is designed to have you leave feeling better than you arrived.